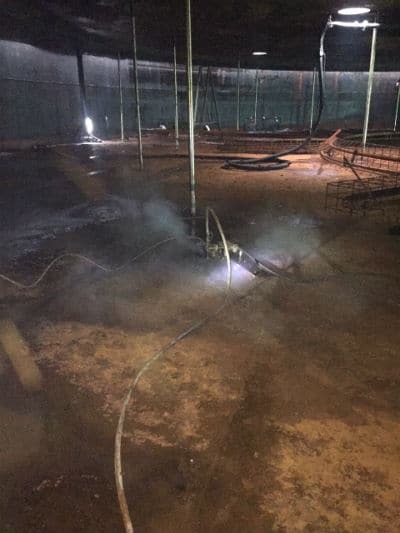 Midwest Mobile Waterjet recently provided waterjet cutting equipment to the Nairobi, Kenya based company, Belgravia Services so they could safely remove the floor of a petroleum storage tank for repairs. 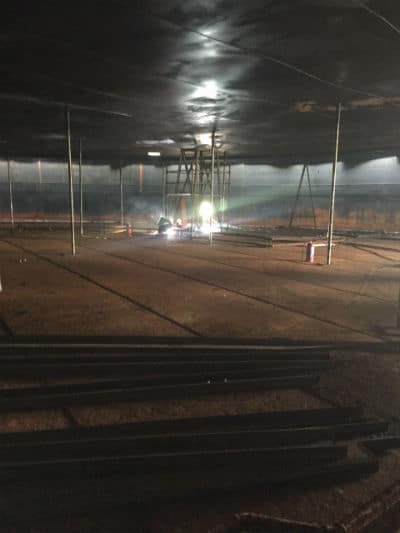 The work was performed at Belgravia’s Ndola, Zambia branch at the Indeni oil refinery. MMW also supplied training for safely operating and maintaining the cutting equipment and Jet Edge ultra-high pressure waterjet pump. 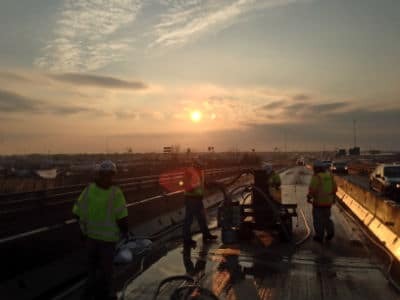 Midwest Mobile Waterjet completed our largest square footage project thus far in West Memphis, AR, which consisted of 6 separate bridges on 3 different stretches of highways in the area that needed to be heavily scarified for the new concrete to adhere to. 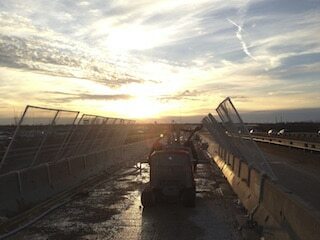 Access was limited and traffic was a constant concern, but work was coordinated to maximize safety and production. Midwest Mobile Waterjet recently completed large scale deep demolition on the face of a dam deep in the woods of northern California. Lost Creek dam near La Porte, California is almost 100 years old, and needed a complete refurbishment including the extremely difficult to access, nearly completely vertical face of the dam. 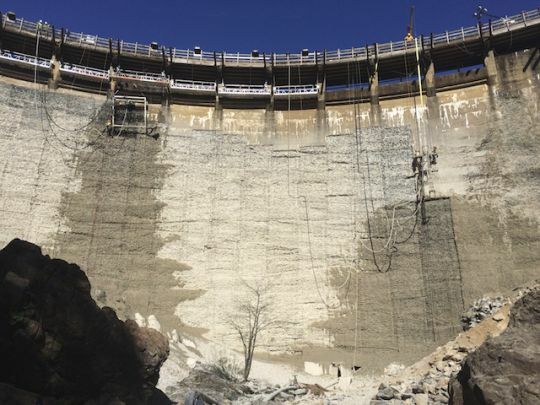 MMW was able to access the surface using a custom built frame, an Aqua Cutter Aqua spine and a small crane that fit the weight requirement of the aging wooden bridge that ran across the top of the dam. 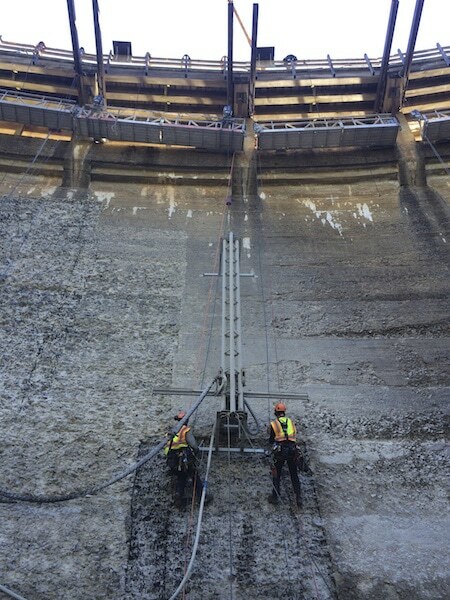 Rope access also had to be utilized eventually to secure the frame and spine to the face of the dam. 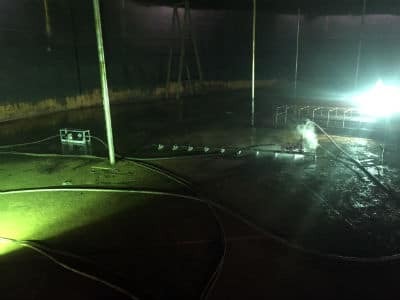 Midwest Mobile Waterjet recently completed a project in an 800′ tunnel running beneath the active main runway of Benny Benson State Airport in Kodiak, Alaska. The project required two very different profiles on the floor and walls, which was accomplished with a Conjet 324 that MMW modified to utilize two different tools with as little downtime as possible. 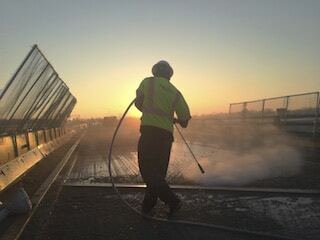 MMW also provided the cleanup equipment including vac services and high pressure wash down.